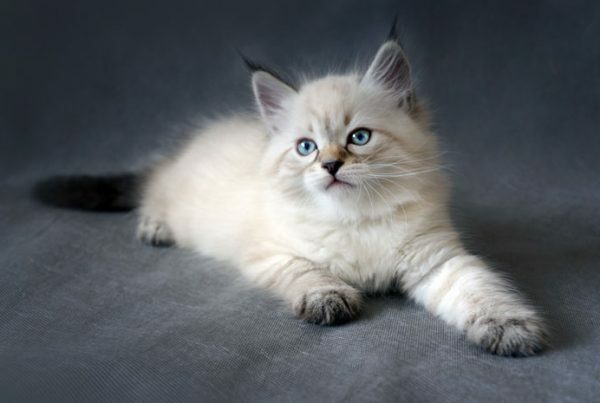 Not only is the Siberian cat unique in its appearance, but equally, if not more, unique in its personality. Most people who meet Siberians for the first time are usually surprised at how dog-like this breed can be, and it’s one of the leading factors that convince owners to get one. Siberians are a constant source of affection and entertainment, and you may just find yourself smiling and laughing more around one than you thought possible. Perhaps the trait that makes Siberians most popular is their need for companionship. 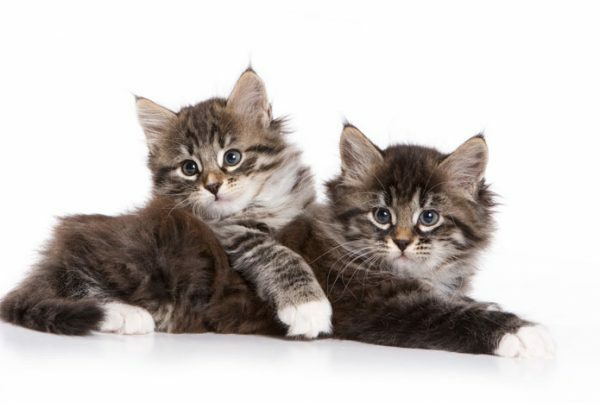 In contrast to the usual cold cat-like behavior, Siberians are known to greet you at the door after a long day, chirping and meowing for attention. They’ll follow you around the house and might become angsty if you disappear behind a closed door. 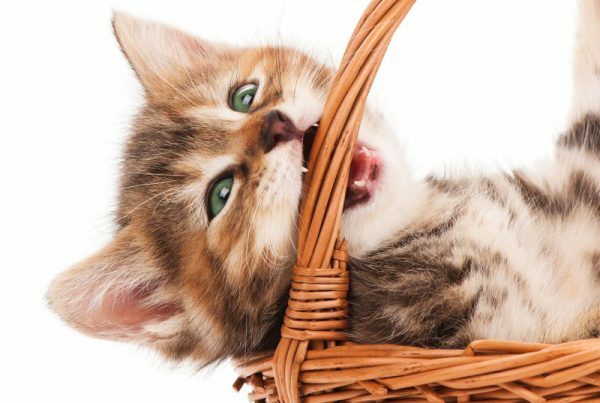 It’s not uncommon to form a deep connection with your Siberian, and even engage in a little “kitty conversation”, chirping, trilling and meowing in response to your questions. It’s no surprise that they’re not usually shy around strangers. 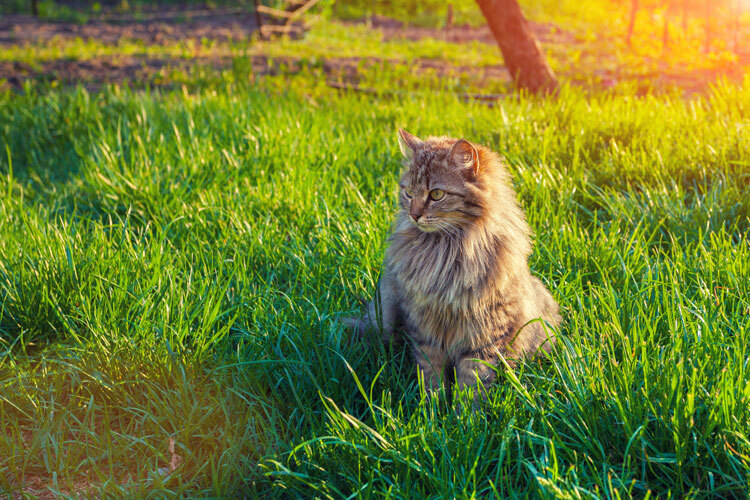 If you’re planning to go on vacation or be out of town for a weekend, remember Siberians are so social that it’s a good idea to arrange to have someone come over to spend some time with your kitty. This breed is great with kids and other pets as they are social butterflies who love having many friends. 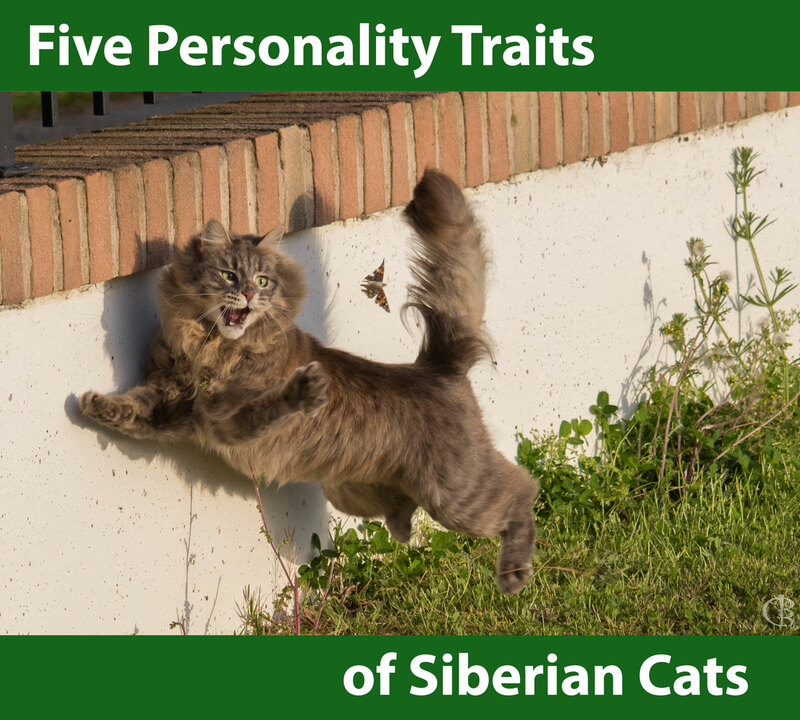 You’ll never lack amusement from your Siberian’s playful demeanor. From flipping around to catch toys to zooming through the house for no apparent reason, Siberians will show off their incredible powerless and hunting skills. Keep in mind, though, Siberians can easily get bored and into mischief if not adequately entertained. While most cats go running for the hills at the sight of water, Siberians have been observed actually playing in water. Although this may not be true for all Siberians, you may just encounter one who likes playing with puddles on the floor or joining you in the shower. This may be linked to Siberians’ water-resistant coat and instinct for fishing. Siberians are the problem solvers of the cat world, and while we have yet to conduct an intelligence test on them, any owner will attest to how shockingly clever they are. They’ve been know to figure out how to open doors and get to hidden toys or cats treats. Not only that, but they can read their owner’s tone and mood and might give comforting cuddles when they sense distress. 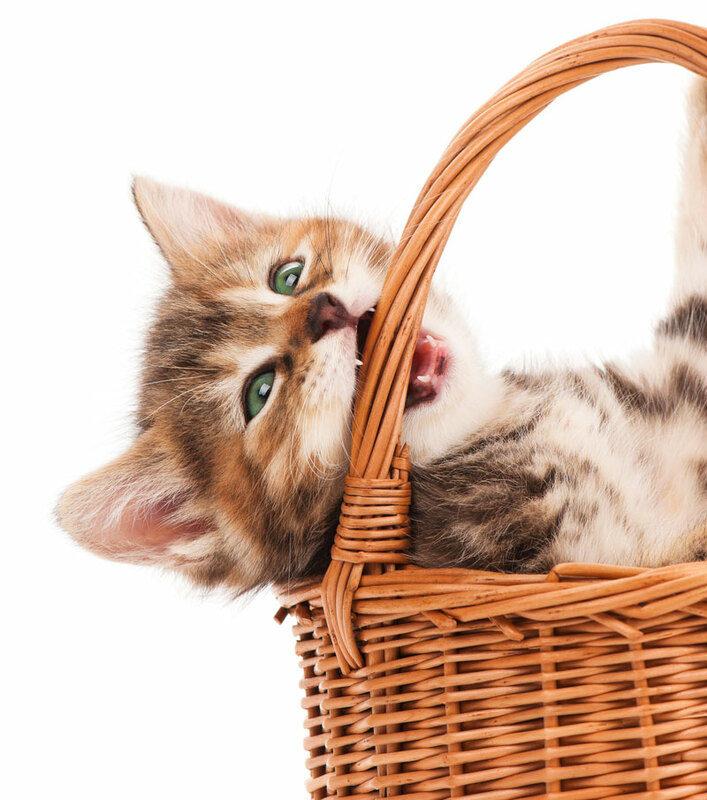 They can easily be trained and learn tricks typically performed by dogs. Being around such an intelligent animal can be refreshing, but don’t forget their slyness can also get them into trouble. Perhaps because Siberians were domesticated relatively not long ago, they have a natural desire for the outdoors. Your Siberian will likely spend a lot of time looking out the window and trying to sneak out the front door when you’re not paying attention. Whether or not they’re allowed outside is up to you and if your living situation allows for a safe outdoor environment. Training your Siberian to accept a walking harness might be a potential solution to allowing them some supervised outdoor time.